A well-known pub in Halswell, Christchurch, which has been quenching locals’ thirst for 156 years, is on the market for sale. Craythorne’s Hotel, at 344 Halswell Rd, first opened on the site as a brewery and pub in 1863 – making it one of Christchurch’s oldest continually-operating drinking establishments. 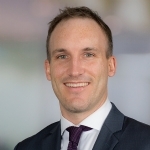 It is now offered to a new owner for the first time in nearly 20 years, with Savills broker Ben Cameron handling the sale of the freehold going concern (including land, buildings and business) by deadline private treaty closing on May 9, 2019. The business has grown significantly since its beginnings in a sod hut, with a tiny bar and a few tables where local villagers and farmers gathered to share the day’s news. It is now a large asset which includes a large prime land holding and a successful business with several income streams including a pub, restaurant, hotel and bottle shop, says Cameron. 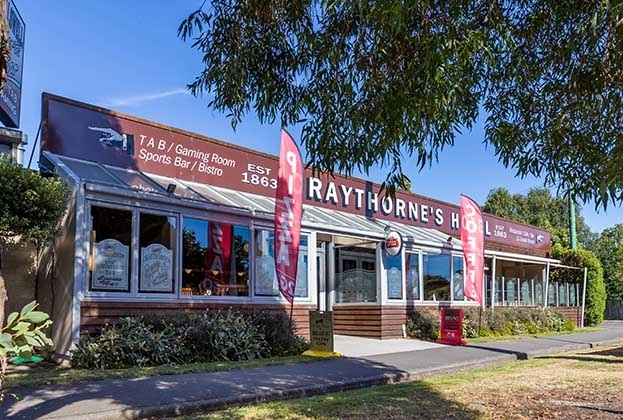 “Craythorne’s is thought to be one of the highest-performing suburban hospitality establishments in Christchurch, with gross turnover consistently around the $6 million mark every year,” he says. The fact that Craythorne’s is still so popular among locals shows that in some ways, nothing much has changed from the early days when the men in the community would gather at Craythorne’s, enjoying house-brewed ale, whisky and company, Cameron says. The 4,592m2 corner site includes 1,500m2 of buildings and around 50 car parks, with the use of hundreds of further car parks on the adjacent New World site under a shared use agreement. The complex includes a public bar with gaming room and TAB; restaurant, café, accommodation, conference facilities, offices and a Super Liquor retail outlet. Annual net rent has been assessed as $414,000 plus gst. The site’s Commercial Core zoning facilitates further development potential, says Cameron. Since the 2010 and 2011 earthquakes, the south-western suburbs of Christchurch have become the scene of huge subdivision activity, with former paddocks being back-filled with residential development, he says. Mary and William Craythorne first opened their ale house, which featured a thatched roof and dirt floor, in 1863. It quickly became fondly known among locals as Mother Craythorne’s. In an annex behind the hut, William brewed his own draught ale with a recipe he brought with him from England. Eight years after the pub’s opening, Tom Mullins bought the business for 720 pounds and later replaced the sod hut with a two-storey hotel which included a public bar, restaurant and accommodation. This building survived as the Halswell Junction Hotel for over eight decades, until it partially burnt down in 1954. In 2011, the current proprietors, Brian and Ina Hall, enhanced the historic site by reinstating the hotel business, constructing 12 en-suite rooms along with conference facilities in a two-storey accommodation wing at the rear of the pub. These facilities are popular with both corporate and private guests, with occupancy consistently high. The Halls also changed the pub’s name back to Craythorne’s, with permission from the descendants of Mary and William. The current owners are passionate about the local community and would love to pass the premises on to someone who shares their love for the area, says Cameron. The owners are now looking to sell the property and business as they prepare for retirement.